12-14 foot crestliner w/ 9.5 hp evinrude FOR SALE - - - 3 messages. Showing 1 through 3. I put a deck on this and some seats. Painted her up.. I need to sell it so that I can afford to finish rebuilding my other boat. Motor works great. It has a broken choke button that you need to wiggle open and closed but it's still easy to function. 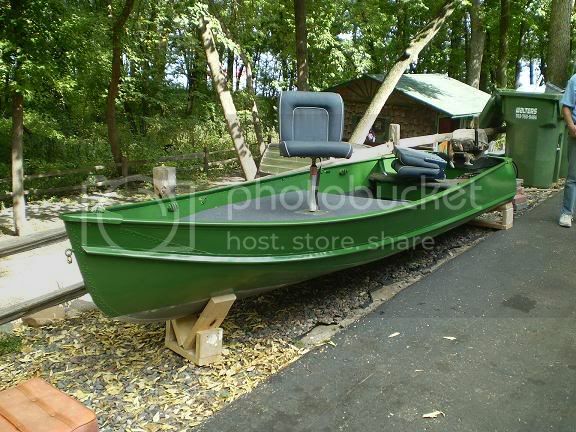 Tank, anchor, fishing deck, and seats come with boat. MFP members special price of $500.. I have it for $700 on craigslist. Deck is easily removed with two benches underneath. BTW.. this boat is more sturdy in the water than it appears. strange how I had six views about half hour after the posting of this. Then I surfed another page for like 20 minutes came back here and This post had 120 views... Over the course of the next few day it received about 20 more.. 100+ hits in 20 minutes for some reason??? WIERD. I got $600 for it..